It has been two years since I was travelling-living in India. But India is sometimes like the sea (as Emilio Pacheco says): it begins where you first met it, and it comes to you everywhere. 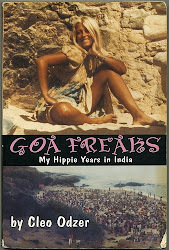 I found this postcard I bought at Panjim (also called Panaji)... such a beatiful city. One of my favorites within the whole world. I found it at a gloomy stationery located on a beautiful street by the sea. Before I came in I felt the breeze, the sun, the weather was perfect. 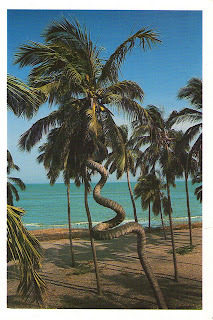 And the postcards I found were it too. I hope you like this one. bueno, como sea, sigue compartiendo tus aventuras por el mundo. Daaaamn miss!!! I read what you wrote in that post card though! My linguistic teacher is sooo passionate! 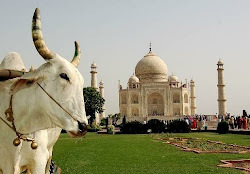 Cool stuff, it seems that you had such a great time in India. I have a couple of bengali friends, from Vegas and Cali; they are proud of their heritage. Anyway, see ya in class and please, do not celebrate independence day!!!! Gabriel... ya estoy escribiendo el libro. Va a empezar "Vine a la India en busca de mi padre, un tal Luis del Moral". Es en serio... jajaja. Nash: You make me blush!! I think I simply have no limits when I write, and maybe it was to much to upload the back of the postcard... anyway, love is not something to hide, I guess. I did not celebrate the "Independence" day. There's not so much to celebrate about... I spent the night listening music, and drinking wine with a couple of friends. See you and read you.